Outside In: Unique table covering is alive and well at the WantedxDesign celebration at Brooklyn’s Industry City. The Brooklyn component of the 8th Annual WantedxDesign (WxD) event launched last night with a preview that brought together hundreds of design professionals, students and press representatives. 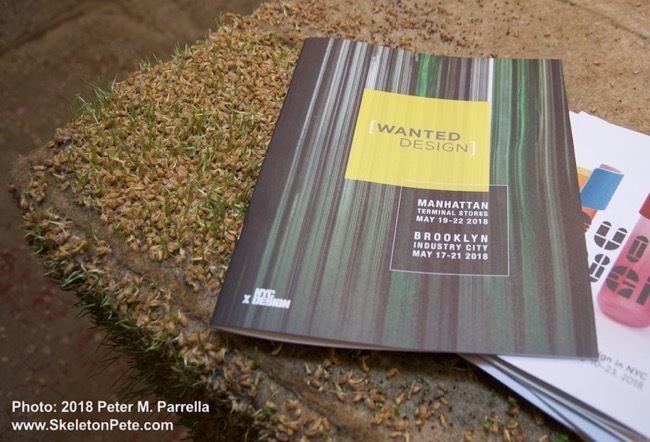 Hosted at Brooklyn’s Industry City (IC) complex the event will run from May 17-21. The weekend will include studio tours that open the workspace doors of over 100 local painters, photographers, printmakers, sculptors and video artists. Also available on the weekend will be shuttle busses to take visitors to the concurrent Manhattan Conference at the Terminal Stores. See the full program here.